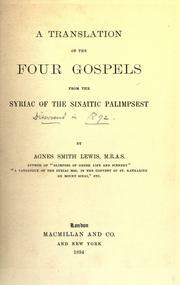 1 edition of A translation of the four Gospels, from the Syriac of the Si... found in the catalog. Add another edition? Are you sure you want to remove A translation of the four Gospels, from the Syriac of the Sinaitic palimpsest from your list? 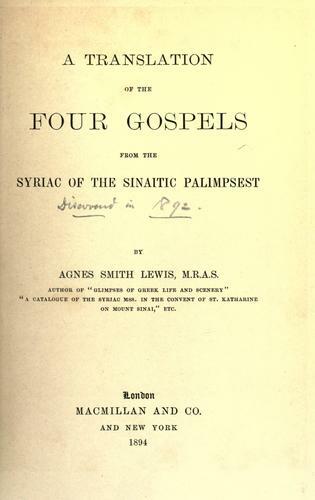 Published 1894 by Macmillan in London . xxxvi, 238 p.,  leaf of plates.